The word “blog” might call to mind the conclusion of a “Doogie Howser” episode. In other words, a cathartic “dear diary” style of writing that basically synopsized any given day. Admittedly, Doogie had a much cooler life than most of us. After all, he was a teenage genius who went through medical school and was enduring the challenging residency process. Also, unlike a blog, Doogie’s journal was his own, and wasn’t publicized for the world to enjoy. Since that show, many moons have come and gone and blogs have evolved to be ways to communicate a message to the world. Business blogs, though, add another element and are much more than a stay-at-home mom’s daily adventures, a foodie’s latest hors d’oeuvre, or a Pintrest inspired home project post. Your business blog can actually be money in the bank if you use it properly. It is also isn’t a place to share your fun family/vacation photos. In past years, you might have considered your business blog to be an add-on feature to your website, a little entertainment if you will. Today, though, your business blog is a vital element of your marketing strategy. In fact, it is a key factor in getting your website visits by garnering traffic and letting visitors know what your business is all about. Let’s face it; rarely do people walk into a brick-and-mortar store to check out what a business does or what products they carry any longer. They instead take a quick look at your website, or do a Google search and see what all they can find out. Suffice it to say, if you don’t have a well developed website, including an engaging and informative blog, you are not making a great first impression, no matter how wonderful your product or service might be in actuality. Therefore, step one in making your business blog work for you is to treat it like the marketing tool it is and investing some time and money in building it up. 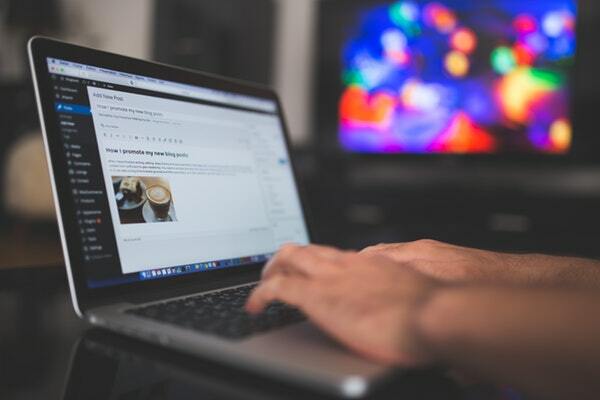 When it comes to the content on your blog, you have an unmistakable opportunity to either make a wonderful first impression or forever remain behind your competitors in the eyes of potential customers. One notable difference between a nondescript blog and one that educates, entertains and even draws in customers can be as simple as the writing. Does this mean you have to hold a journalism degree from a prestigious university or be a former English major in college in order to wax poetic on your air conditioning company’s blog? No. However, word to the wise, you will do well by hiring a professional to write your copy in order to communicate the level of professionalism you desire. Otherwise, your wealth of knowledge about a product or service can be buried beneath a poorly designed sentence structure or less than stellar grammar. There is no doubt you know your business better than anyone else. That’s why it’s vital to be in communication with your writer in order to guarantee they understand the mission and passion of your business. More goes into writing engaging copy than mere words, though, so if you do want to attempt it yourself, be sure to take into consideration the next point. You can publish blog content that would be the envy of Shakespeare and still not merit more visits if your content isn’t optimized for search engines to find. In the marketing industry, making sure your blog is easy to find by search engine algorithms is referred to as SEO or Search Engine Optimization. It basically means you use keywords throughout your content as well as other tricks that will help your blog rank higher when potential customers do a general search. Companies like WriterAccess can help you with this element, along with giving you easy access to great writers who will come alongside you and create high quality content. By using these tools, you will enjoy applicable and actionable content that is also easy to find by search engines. Having a blog shouldn’t be a one and done kind of deal. You have to respond to comments made by your customers and pay attention to what types of blog posts do well in terms of views, comments and shares. This shows your customers that you care about what they think and are ready to respond to any concern. Also, according to marketing professionals, articles with images get 94% more views than those who don’t feature images. Keep this in mind when constructing your posts. Consider providing images to make your point or show off your amazing products. Also, don’t underestimate how helpful social media can be when promoting your blog. We hope these helpful, quick tips have aimed you in the right direction and have moved you towards the end result of making your business blog work for you. As always, the experts at WriterAccess are here to ensure the blogging process is as easy and possible. By partnering with us, you automatically benefit from our abundance of professional writers and our knowledge of algorithms and SEO, all of which means your blog will instantly become better and, in turn, likely more profitable.